Home » Nightscapes Blog » Why Should I Do Exterior Lighting System Maintenance? A custom outdoor lighting system improves security around your home and creates curb appeal, and many homeowners believe that they are easy to install. But your exterior lighting system is actually a complex framework of individual parts that are used to create a flawless design. Over time, those components can break down and destroy your exterior lighting system. If you have a custom exterior lighting system, you should work with landscape lighting professionals to perform regular maintenance. They can check your exterior lighting system on an annual or semi-annual basis to improve safety and enhance its performance. Your Light Bulbs Have Blown Out – If you hire professionals to perform maintenance on your exterior lighting system, they will walk around the property to look at the entire system. After testing your lights to make sure they are working properly, your landscape lighting expert will change bulbs that have stopped working. Your Parts Are Broken – Your exterior lighting system is made of metal, plastic, and glass components that can break down over time. If you have broken light fixtures, wires, or tubing, your landscape lighting expert will find similar parts and replace them for you. Your Lights Are Skewed – Wind, rain, and snow can move your light fixtures out of place. Your landscape lighting expert will make sure your system is in working order and put each light in the right position. Your Timer Stopped Working – If you use a timer to turn your exterior lighting system on, your landscape lighting expert will test the system to make sure your timer is working properly. If your timer is broken, they will repair or replace the timer before they finish their maintenance. 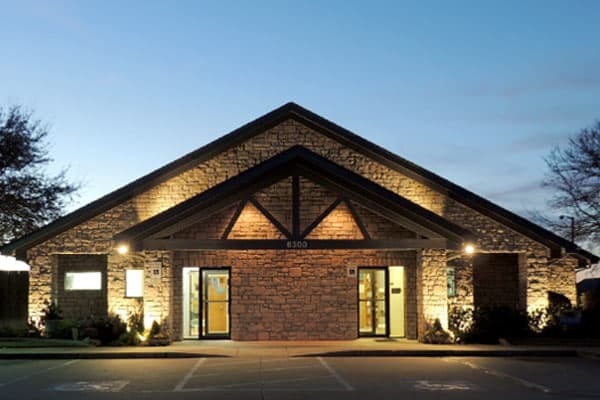 Do you need a professional exterior lighting company? 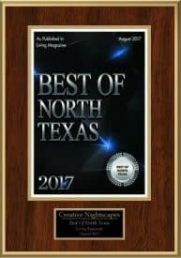 Creative Nightscapes has been serving Texas homeowners for more than a decade. Contact us at 817-764-1557 for a free quote!